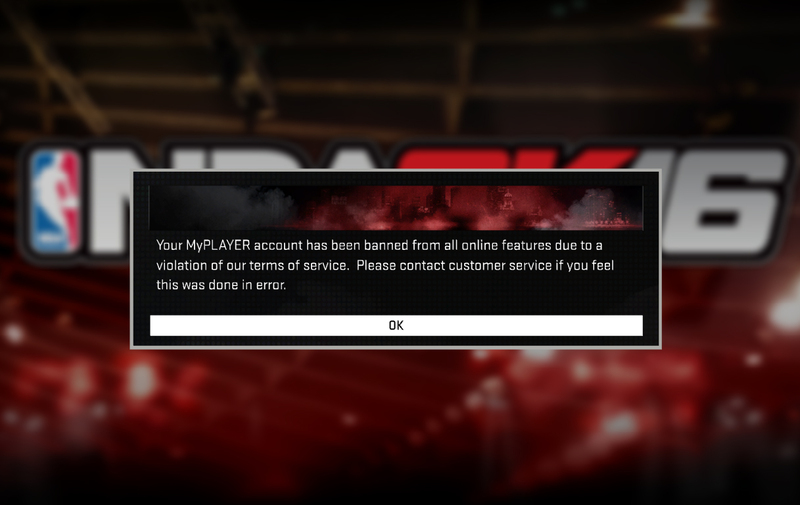 Today, a large numbers of NBA 2K16 players claimed that they have been banned from playing online for cheating. If you have your online playing privileges revoked, this tutorial will guide you on how to get unbanned. Go to https://www.nba2k.com/ and click the "Sign In" link at the top right corner of the page. Connect with your Steam, Xbox Live, or PSN account. 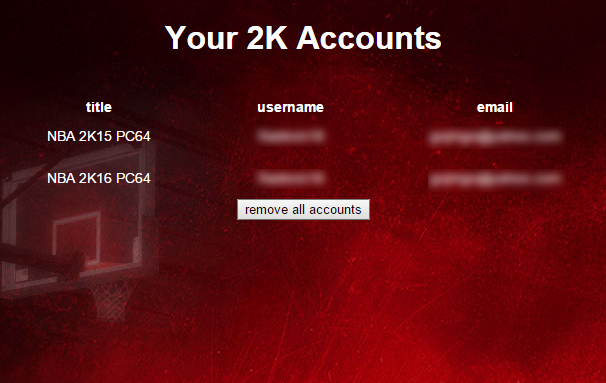 Click the "remove all accounts" button and wait for the confirmation message that says "Your 2K account has been removed". Play NBA 2K16. At this point, you will be asked to create a new MyPlayer. You can skip this process because you will still have your old Myplayer. From the main, select "Connect". Enter your old e-mail address and continue. Congrats! You can finally play online games again (MyPark, MyTeam, 2K Pro-Am, etc). This method does NOT delete any of your save games including your player/s in MyCareer mode. Also, you will still have your old stats, VC, store items, and MyTeam players as long as you use the same e-mail address. Hope this could help some of you before 2K patch this. UPDATE: The method above has been patched. It seems like the only workaround is to start from square one. Create a new Steam account. Setup Steam library family sharing. To enable Family Library Sharing, first be sure to have Steam Guard security enabled via Steam > Settings > Account in the Steam Client. Then, enable the sharing feature via Settings > Family, where you’ll also authorize specific computers and users to share. This basically shares your games to your second account so you don't have to rebuy NBA 2K16 just to play online modes.